Many truckers take blood thinners for a variety of reasons, including the risk of deep vein thrombosis (DVT) from long hours of sitting in the same position while driving a truck. 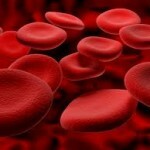 Blood thinners also help people with a history of clotting to thin the blood and reduce the risk of future clotting. Xarelto is a blood thinner that was developed to replace Coumadin, which has been used for many years. The Institute for Safe Medication Practices recently reported an increase in serious adverse events in individuals taking Xarelto, including gastrointestinal bleeds and hemorrhagic strokes. The report led to investigations to determine whether there are grounds for Xarelto lawsuits for those who suffered these conditions while taking the medication. The attorneys at Hurt Trucker are reviewing cases for truck drivers that have suffered serious bleeding events, including hemorrhagic strokes and gastrointestinal bleeds, while taking Xarelto. We are working with the St. Louis, Missouri law firm of Niemeyer, Grebel & Kruse, LLC (NGK) to handle these cases. The NGK law firm has successfully pursued lawsuits involving blood thinners such as Xarelto. NGK was lead counsel for consolidated lawsuits involving Pradaxa, which is a blood thinner that had similar bleeding complications as Xarelto. The NGK law firm has already filed a Xarelto lawsuit alleging that the makers of Xarelto sold the drug claiming that individuals do not need to submit to monthly blood tests to ensure proper dosage, which is required for patients taking Coumadin. The manufacturer marketed Xarelto as a more convenient alternative Coumadin; however, the lawsuit alleges that people taking Xarelto do, in fact, need to regularly monitor their blood levels because the lack of monitoring leads to an increased risk of bleeding events. If you or a family member has suffered a hemorrhagic stroke or gastrointestinal bleed while taking Xarelto, contact Hurt Trucker today. We will talk with you free of charge to evaluate your case.